Home/Investigators and Research Centers/Investigators/Scott Morin, M.D. Dr. Scott Morin, MD, FACOG, TS (ABB) is an attending physician at IVI RMA Northern California in the San Francisco office. Dr. Morin graduated from the University of Notre Dame with a degree in Preprofessional Studies. He then studied at the University of California, Irvine School of Medicine, where he received the James H. McClure Award as the Most Outstanding Graduating Student in Obstetrics and Gynecology. 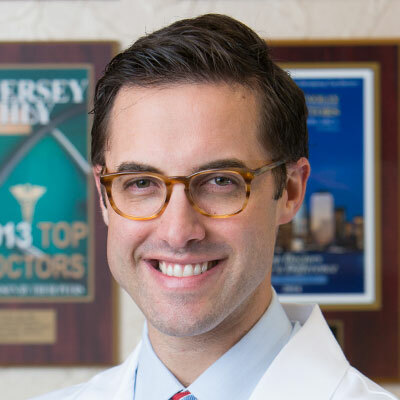 Dr. Morin then completed Ob/Gyn residency training at the NYU School of Medicine, where he was appointed Administrative Chief Resident and was recognized as best resident researcher with the Mortimer Levitz Award. He also was recognized with the Clarel Antoine Award for Compassion in Medicine, awarded to the graduating resident who best demonstrated “clinical excellence in patient care, empathy, and cultural sensitivity.” Dr. Morin then completed his Reproductive Endocrinology and Infertility fellowship under Dr. Richard Scott at the Reproductive Medicine Associates of New Jersey (RMANJ) program. Dr. Morin is board certified as an Obstetrician/Gynecologist by the American Board of Obstetrics and Gynecology (ABOG) and as a Technical Supervisor in the andrology and embryology laboratories by the American Board of Bioanalysts (ABB). He is the Associate Member Co-Chair for the Society for Reproductive Endocrinology and Infertility (SREI) and serves on the Editorial Board of Fertility and Sterility as an Interactive Associate. Dr. Morin has presented his research nationally and internationally on wide range of topics in reproductive medicine including: preimplantation genetic testing, ovarian aging, embryo culture systems, and reproductive immunology. He has recently initiated a project evaluating the impact of epigenetic changes on reproductive aging. Dr. Morin has published and contributed to more than 75 peer reviewed manuscripts, chapter and research abstracts. Assisted Reproductive Technology and Origins of Disease: The Clinical Realities and Implications. Semin Reprod Med. 2018 May;36(3-04):195-203. doi: 10.1055/s-0038-1677048. Epub 2019 Mar 13. Introduction: IVF's 40th world birthday. DNA methylation-based age prediction and telomere length in white blood cells and cumulus cells of infertile women with normal or poor response to ovarian stimulation. Aging (Albany NY), 10(12):3761-3773, 2018. Reduction in oxygen tension to 2% in extended culture: a more physiologic system may mean more blastocysts available for transfer. The dilemma of aneuploidy screening on low responders. Curr Opin Obstet Gynecol, 30(3):179-184, 2018. Knowledge gaps in male infertility: an REI perspective. Characterization of reproductive endocrinology and infertility (REI) fellowship applicants: guiding our mentees toward success. Fertil Res Pract. 2017 Dec 8;3:18. doi: 10.1186/s40738-017-0045-x. eCollection 2017. Medical Acupuncture, 29: 56-65, 2017. FMR1 gene CGG repeat variation within the normal range is not predictive of ovarian response in IVF cycles. FMR1 Gene CGG repeat number variation within the normal range is not predictive of ovarian response in IVF cycles. Free vitamin D does not vary through the proliferative phase of the menstrual cycle. The Separation of Sexual Activity and Reproduction in Human Social Evolution. A greater number of euploid blastocysts in a given cohort predicts excellent outcomes in single embryo transfer cycles. J Assist Reprod Genetics 2014;31(6):667-73.